Learn step by step how to imeplement an Exit Intent opt-in form on any website. The term exit intent has been growing in popularity over the last few years in the E-commerce world. The technology itself isn’t that complicated, but it’s more about how you use it. Today, I’m going to show you two things. First I’ll show you why this technology is worth looking at, secondly I’ll show you how to set one up in 5 minutes that will grow your E-commerce revenue by anywhere up to 10%. The general theory behind exit popups is fairly simple. 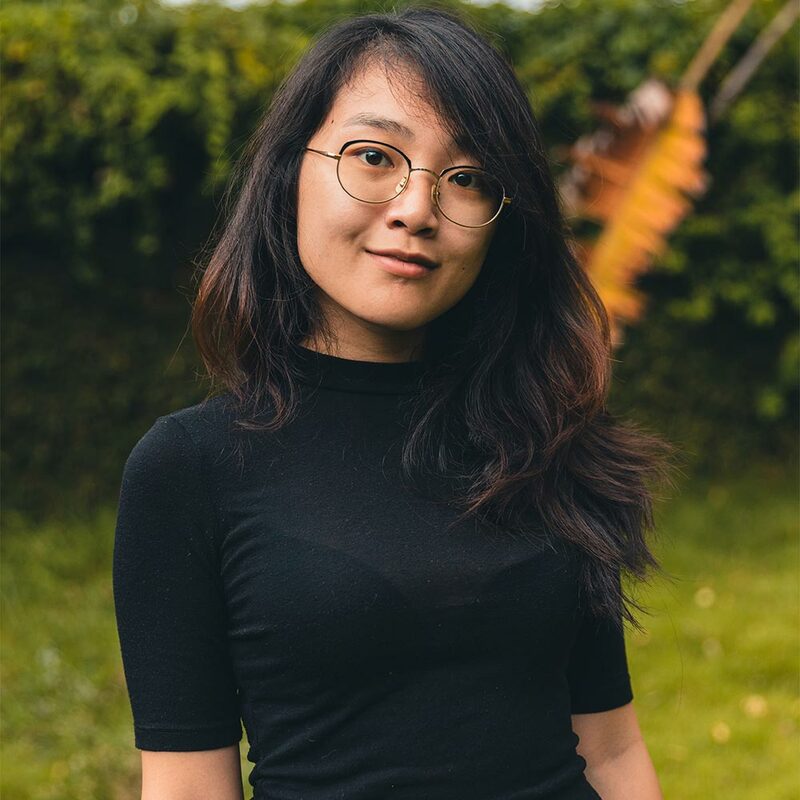 Let’s imagine that a user has been browsing through your awesome site, then decides to leave without doing any of the things you want them to do (buying, registering etc). In that moment of indecision we can briefly interrupt them with a message, steering them towards a singular call to action. This art of misdirection is incredibly successful. Why? Well, often users get overwhelmed. And when you present them with a single option it makes their decision easier. 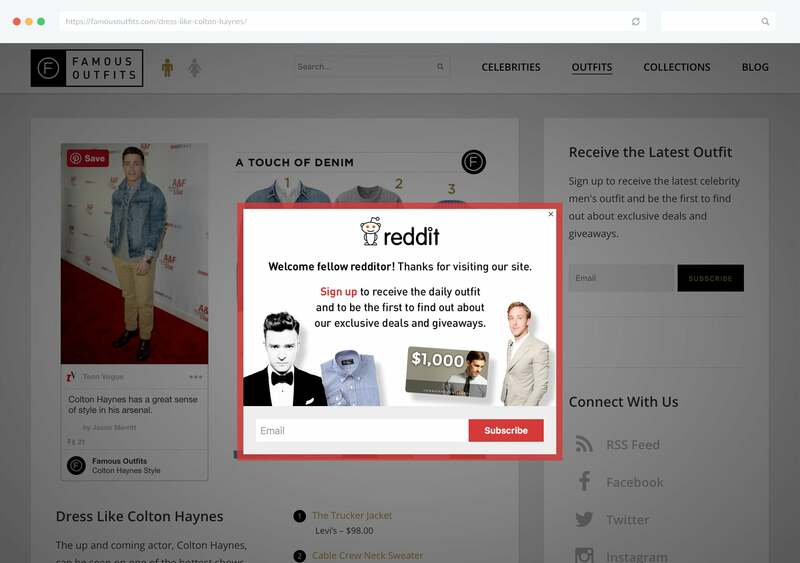 Now that we have an idea on why users might be leaving our site, we can use our optins to try and re-engage the customer. Let’s look at some wildly different examples below, each of which are used for a different purpose. Nothing signals an intent to buy more than someone actually visiting your shopping cart. But if you do nothing about the people that are abandoning then you’re just leaving revenue on the table. 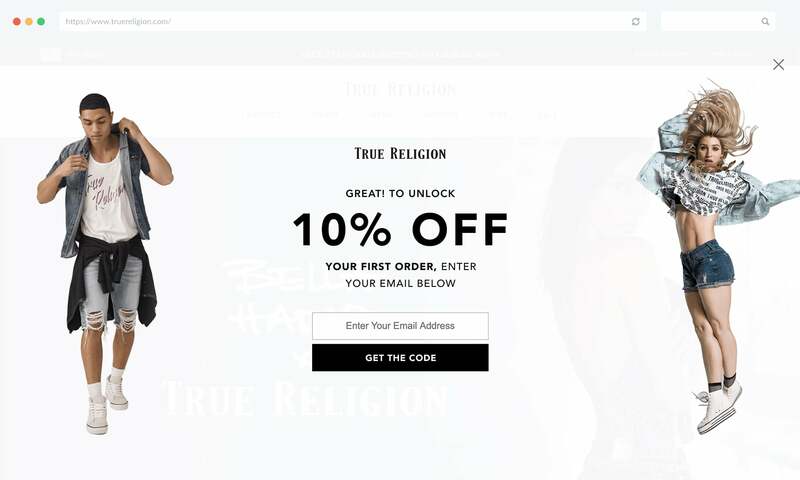 A simple shopping cart abandonment popup like the one you see above can easily improve revenues by up to 10% by offering a simple coupon code. This is also extremely useful if you run an affiliate program, since usually people leave your site to find a coupon code, which often leaves you paying a large commission to a coupon aggregator. 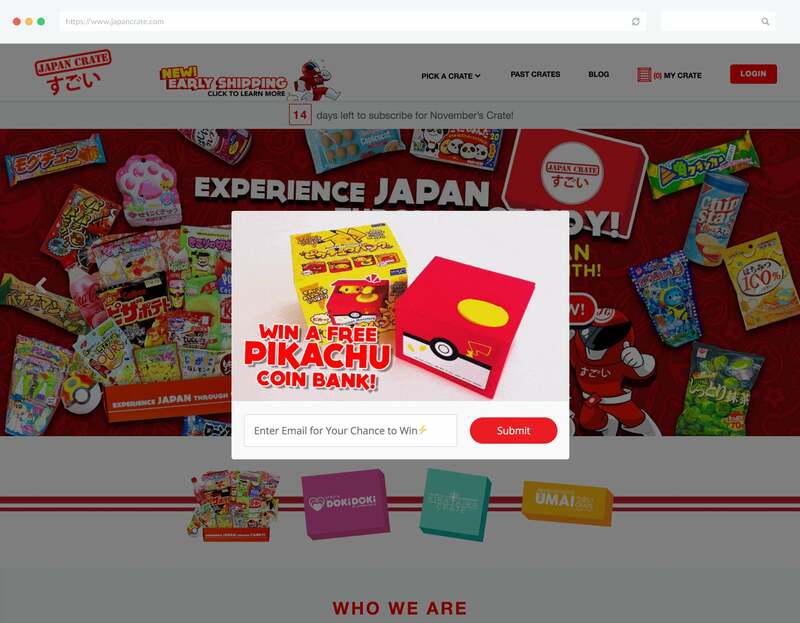 Learn how to build popups which will re-engage users and drive sales from customers who are abandoning their shopping carts. E-Commerce sites are usually quite busy, which means that quite often users will end up missing the fact that you have promotions live. 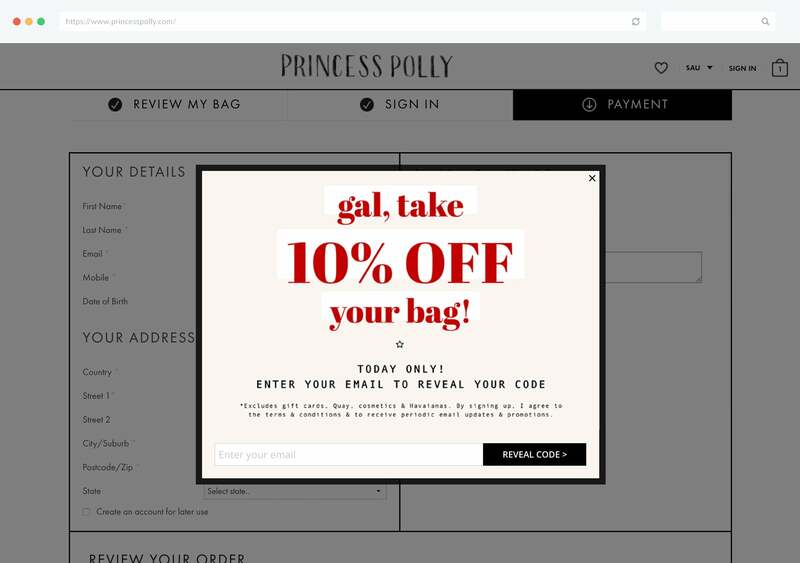 Sale or special offer notifications are an easy way to draw attention to current (or forthcoming) promotions on your site. Typical opt-in rates can range anywhere up to 20%. Combine multiple rules together & only show a special offer to new users only can improve conversion rates (as you're psychologically making them feel special). Making use of targeted traffic is one of the biggest single ways you can increase your opt-ins. For example if you get a lot of traffic from a particular social network then you should consider showing targeted messages to that audience. We’ve seen these particular types of opt-ins convert up to 70% of users. Running a contest? Then let your users know about it. This specific mesage converted 80% of users into competition entrants, users that may not have known anything about it in the first place. Users love to feel special. 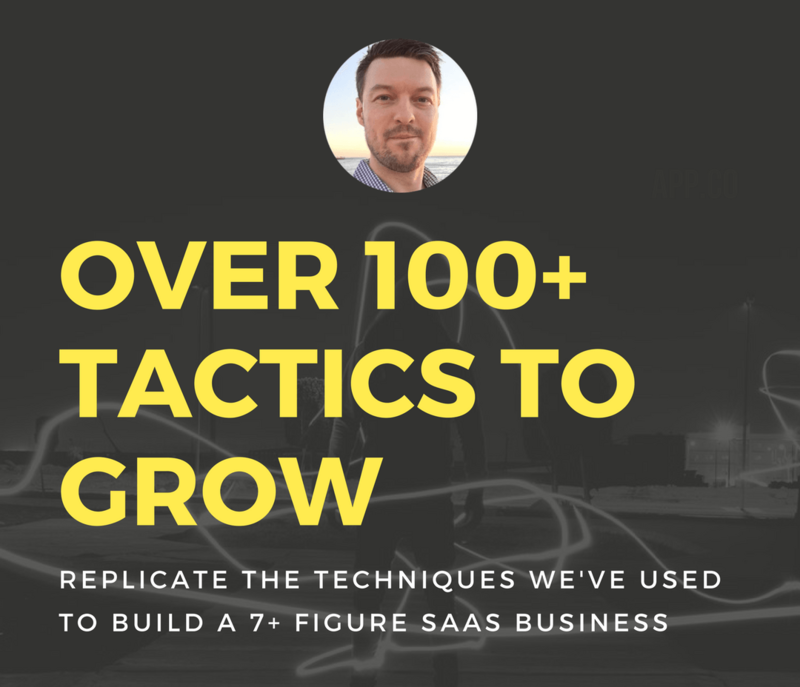 In doing so you can experiment with ways to increase your conversion rates. A great way to do this is by offering special deals or content to your members. 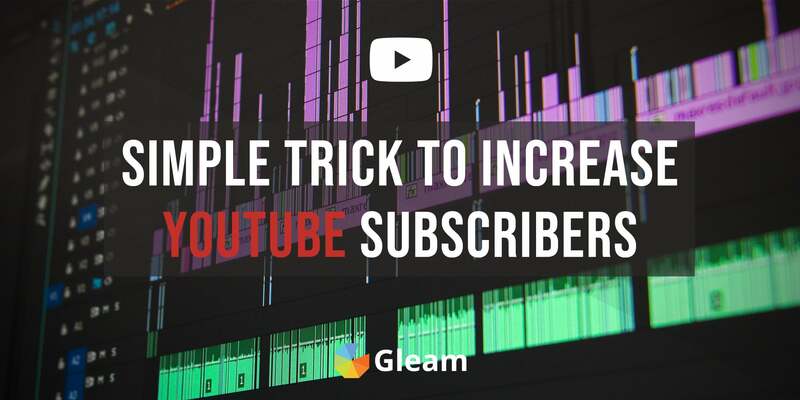 You can expect these sorts of opt-ins to convert at anywhere up to 80% (depending on the referring traffic source and incentive). Quite often we just forget about the plain old Newsletter signup prompt. I see sites bury these in the footer and be lucky to drive a 0.05% conversion rate (on a good day). 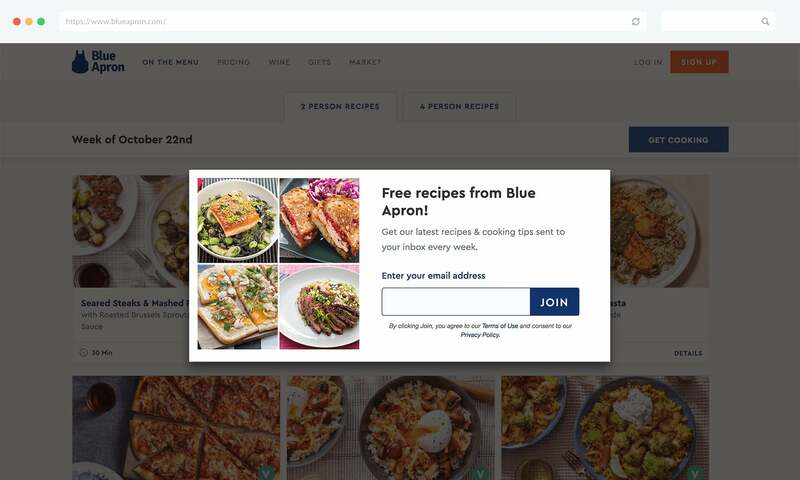 A simple exit intent asking users to subscribe can easily drive opt-ins from up to 2-10% of users. 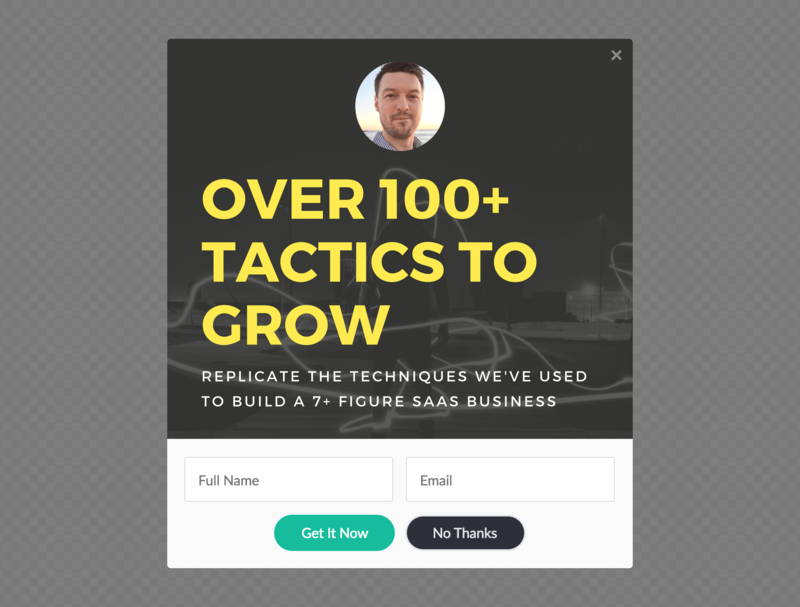 This popup from Manybooks increased their opt-ins by over 100%. 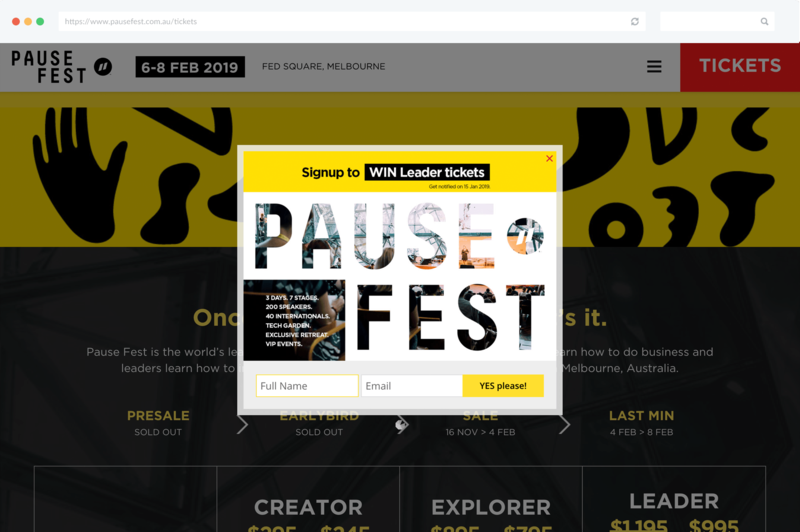 A good friend asked if I had any ideas to help them grow ticket sales for the awesome Pause Festival in Melbourne. They were getting sub 1% opt-in rates for a chance to win free tickets to the event. The problem with the form was that it was buried 2/3 of the way down the page, most people didn’t see it. 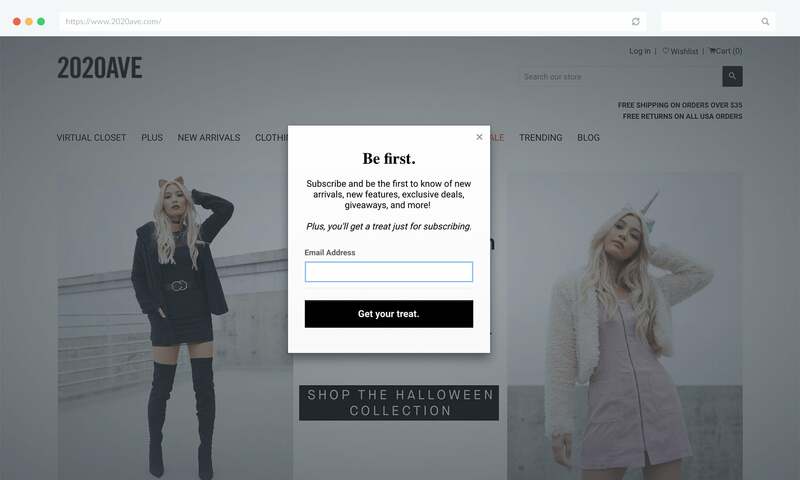 A simple exit intent opt-in form converted 20% of their readers to email subscribers. That’s a whopping 1900% increase. And it took just 5 minutes to setup. Don’t always assume that your readers know where your opt-in forms are. You need to make it obvious. If you’re launching a product on Kickstarter, Indiegogo or Product Hunt then you should be laser foused on getting emails from users that are interested in your project. An engaged email list on launch day can make the difference between getting funded or not. Let’s also imagine that you get featured on the New York Times. Another thing you could setup is a laser targeted opt-in specifically for users coming from that article. This is a great way to boost opt-ins rates and maximise press relationships. So you’ve seen some examples, but don’t know where to start? 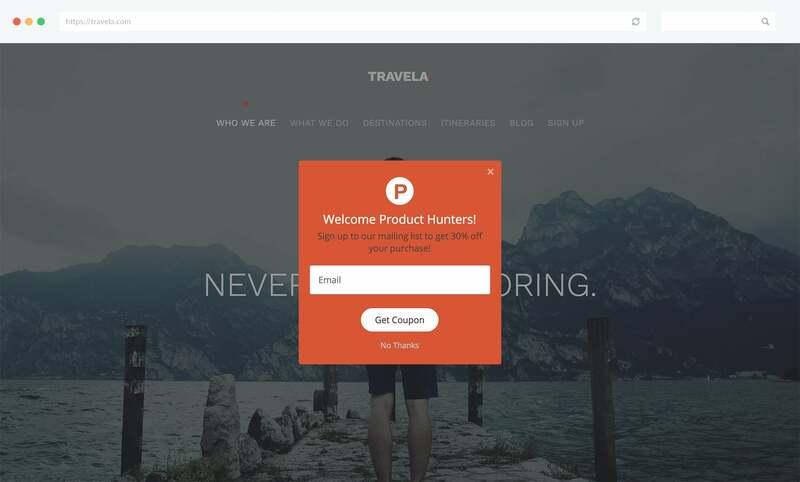 Now let me show you how you can create a powerful exit intent popup super quick. First you’ll need to create a Capture account and install the tracking script on your site. This script will allow you to trigger specific opt-ins based on the rules that you setup. 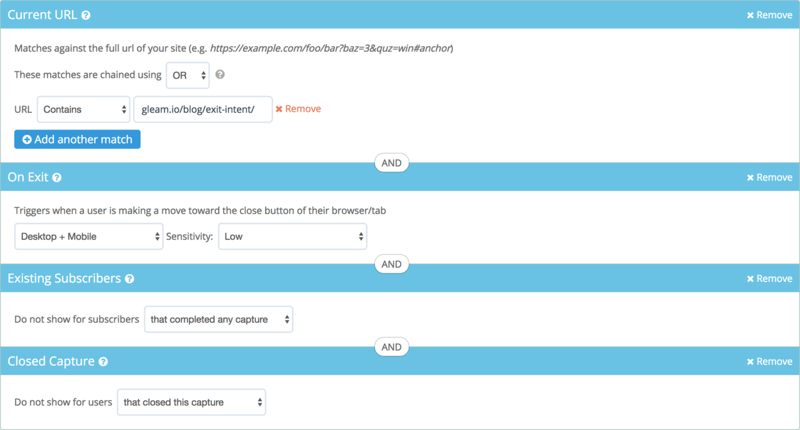 Create an new Capture and choose the Popup With Image template. You can upload the image and set other parameters on the setup tab. This includes things like colors and text. Now we need to setup some rules to determine when it shows. Learn more about the different rules we support then you can read our Capture docs. 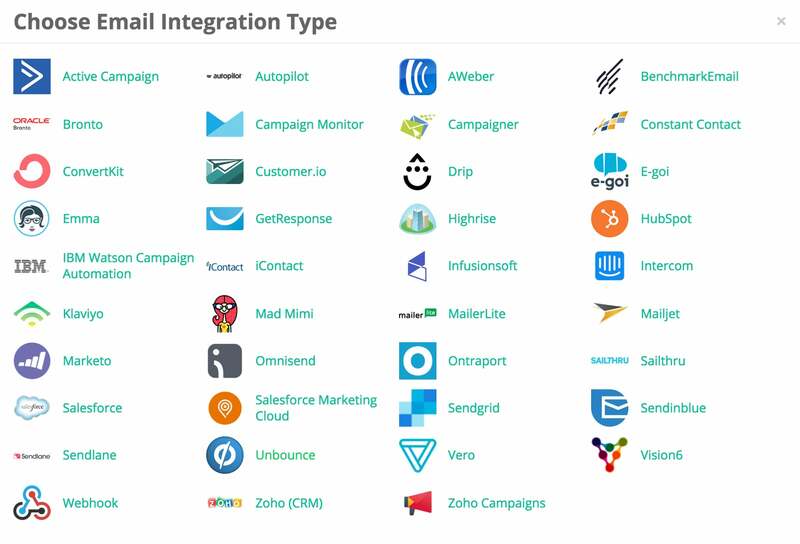 Now for the magic, we can connect our opt-in to over 20 email providers (and send to specific lists). This means you can have an autoresponder setup to deliver a coupon, some information or your latest newsletter. In our case we have a custom Sendy server setup for managing all our opt-ins. So for each Exit Intent offer we’re testing I can send users to a custom list (and send out a custom message). Once you’ve setup your list, simply save the Capture then turn it on. You’ll see the on switch next to the name of the Capture. And that’s it. You’re now ready to start capturing opt-ins from the form you’ve setup. Want to see what it looks like? Test the one we setup below (or just try to leave this page). 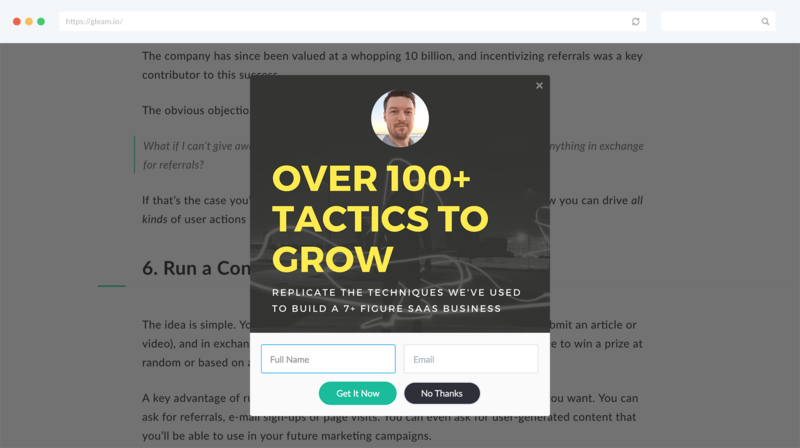 Ready to Build Your Own Exit Intent Popup? 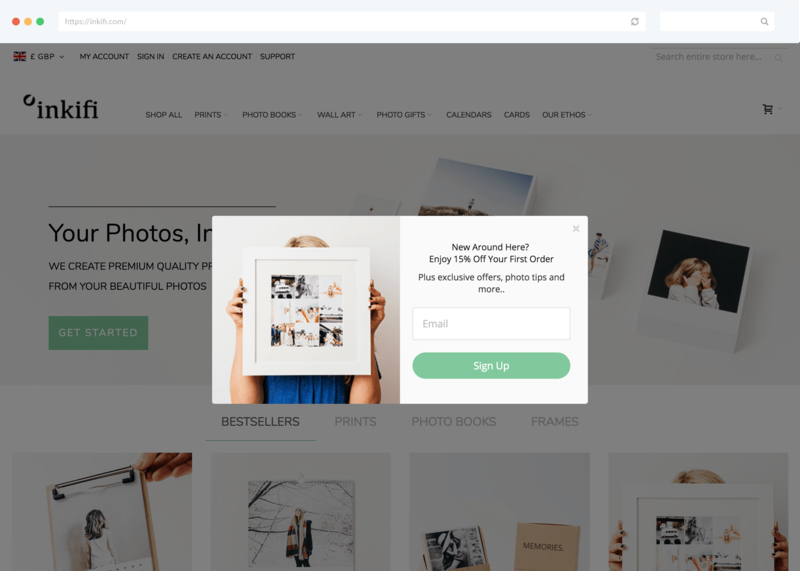 Check out our helpful documentation for step by step instructions on setting up your own Popup or get started right away! Check out all the best ideas, tips and real-world inspiration you need to run the perfect hashtag campaign. 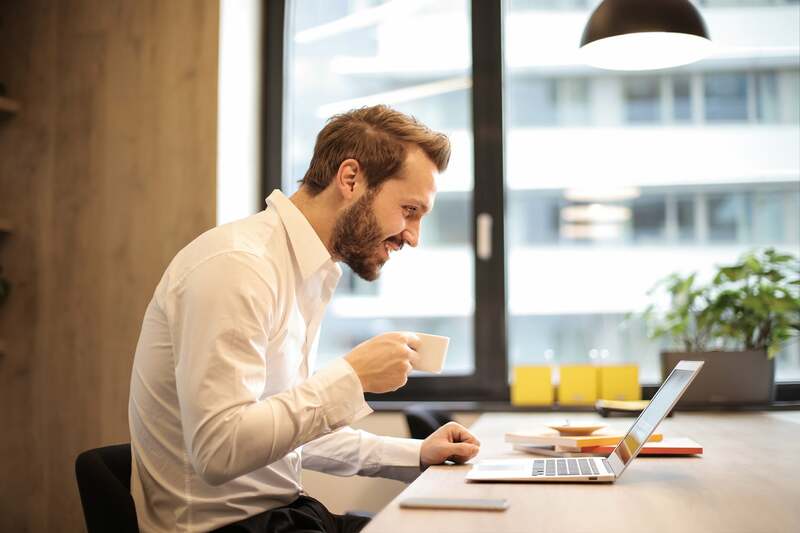 Check out all the best strategies and tips for boosting exposure and generating leads in 2019. We take you through all the best and most popular hashtags for 2019, and give you some expert tips on how to use them. Buying Likes may seem like an appealing strategy, but it's not worth it in the long run. Here's what you should do instead. Find out everything you need to know to run a successful giveaway which generates leads and drives powerful actions. 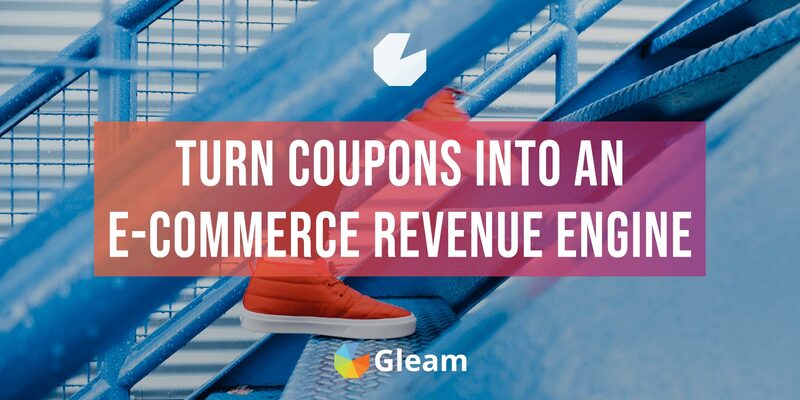 Turn your promotion codes or discount coupons into a revenue-driving engine by incentivising them. If you have a YouTube channel you should be using this everytime you link to it. 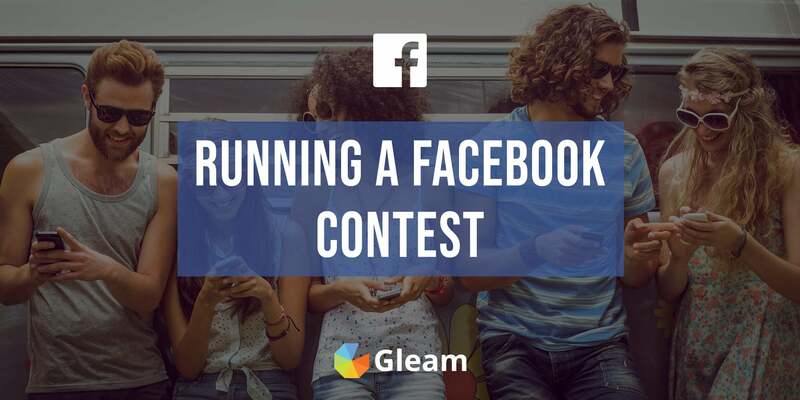 Find out everything you to know to run a powerful Facebook contest with this comprehensive guide. 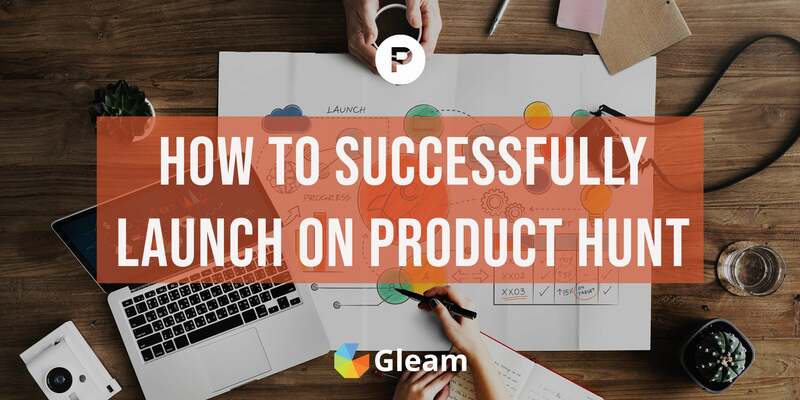 Find out how to launch your idea on Product Hunt to get featured on the front page and drive customer acquisition.